We traditionally associate libraries in Adelaide with collections of books, but the State Library of South Australia has a much more rich and varied collection. In its South Australiana collection, for example, the State Library includes ephemera such as badges and business cards, films and fans, menus and music, and even wine and beer bottle labels. Many are listed in the library catalogue and available to view in the Somerville Reading Room. 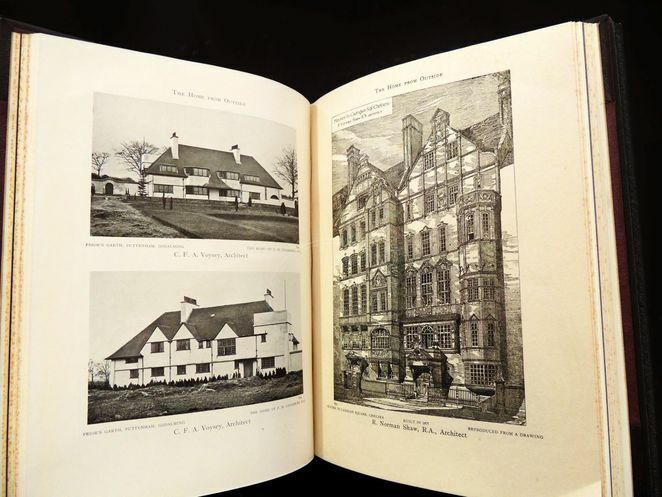 From September 2 until February 5 2017 you can see highlights of the more unusual items in the State Library's collection displayed in a new free exhibition. The A Few of Our Favourite Things - Treasures from the Collections of the State Library of SA exhibition is being shown in the historic Institute building and on the Treasures Wall in the State Library. From the intriguing stories behind the corset to a mud brick from Ur, and a piece of hide from Governor Hindmarsh's cow, you will find some of the curator's favourite things on display. The eclectic range of exhibits in A Few of Our Favourite Things will have a widespread appeal to anyone visiting the State Library of South Australia. The Australian Formula One Grand Prix in Adelaide was one of the biggest Adelaide attractions between 1985 and 1995. It wasn't just motoring fans who got caught up in the action, everyone joined in the party and there was a great deal of bad feeling when Victoria "stole" the Grand Prix from us. 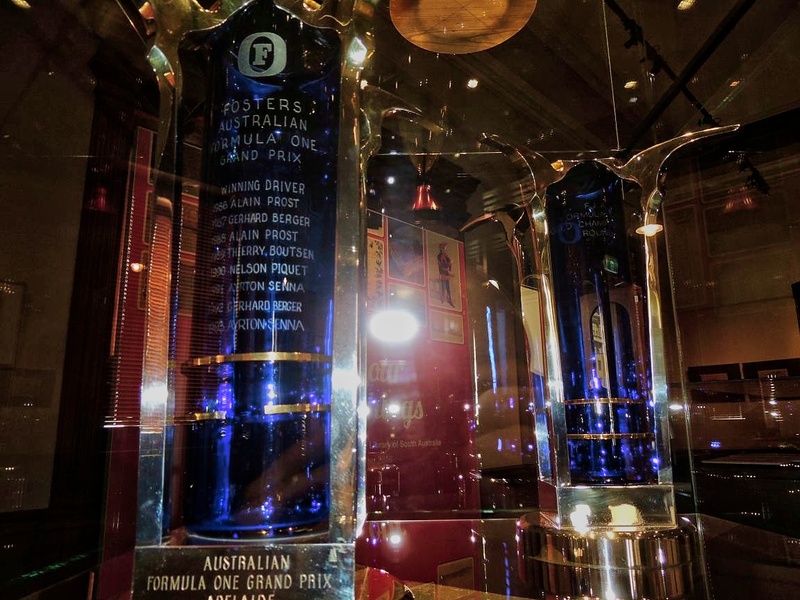 In the free exhibition you will find trophies from the 1993 and 1994 Australian Formula One Grand Prix on display. Also on display in the Institute building on the corner of Kintore Avenue is one family's framed collection of World War 1 badges. 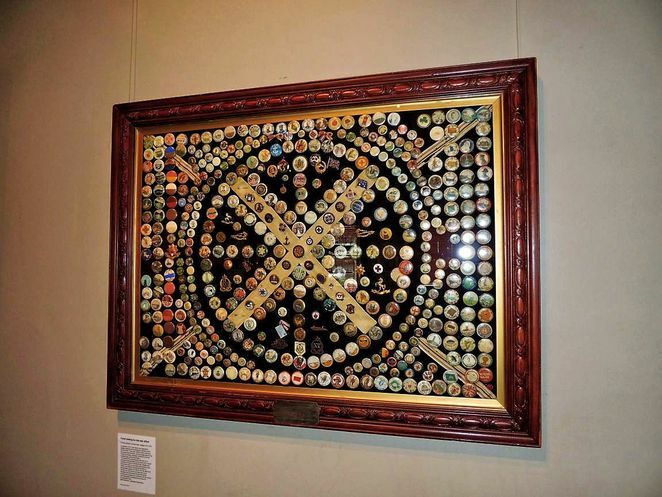 Metal buttons and Armed Forces badges were issued during the war to raise funds on badge days for the Cheer Up Society, Australian Comforts Fund and Australia Day. 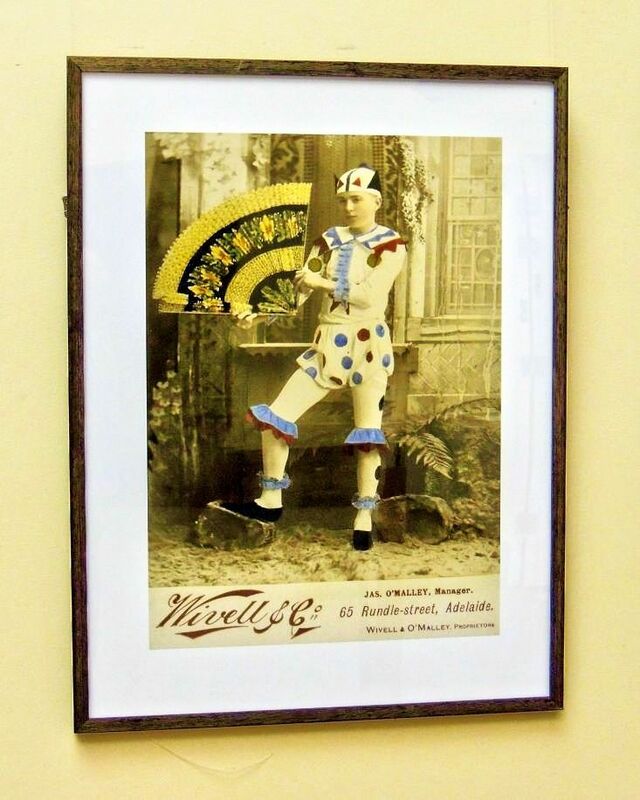 The framed collection on display was originally hung in the Upper Sturt Hall near the Symon residence "Manoah". It later came to the Mount Lofty Historical Society, which presented it to the Mortlock Library of South Australiana in 1993. You can find many similar badges in a display at the Hindmarsh Museum, although their condition is not as good. If you're a music lover, look out for the Australian rock band Cold Chisel's exhibit. Formed in Adelaide in 1973, Cold Chisel has had a huge and enthusiastic following now for forty years. 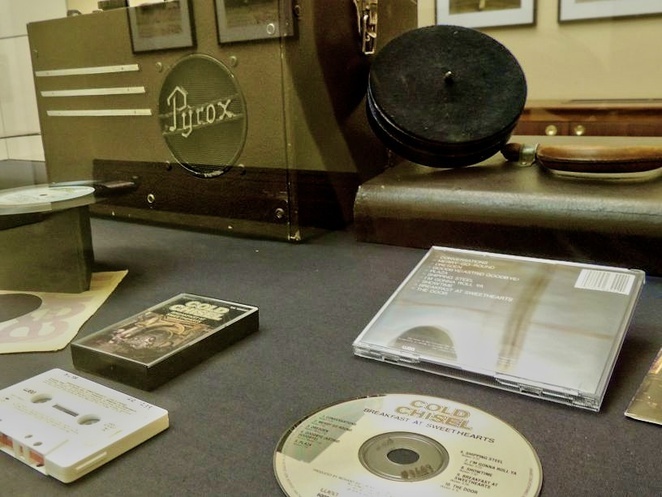 The exhibit includes iconic Cold Chisel music on various media including CD and Compact Cassette tape. The Treasures Wall at the State Library of SA has many more items on display, but unfortunately they don't photograph well behind glass. I guess you will just have to wander into Adelaide to take a look at A Few of Our Favourite Things - Treasures from the Collections of the State Library of SA first hand. Please remember that the State Library of South Australia needs your support now more than ever. The government is proposing to slash their budget by $6m, which will result in the loss of 20% of the library's staff. It could also mean charging more for services. Read all about this threat to the State Library and sign the petitions opposing the cuts. Why? See this free exhibition of SA icons like Cold Chisel and the Grand Prix at the State Library.